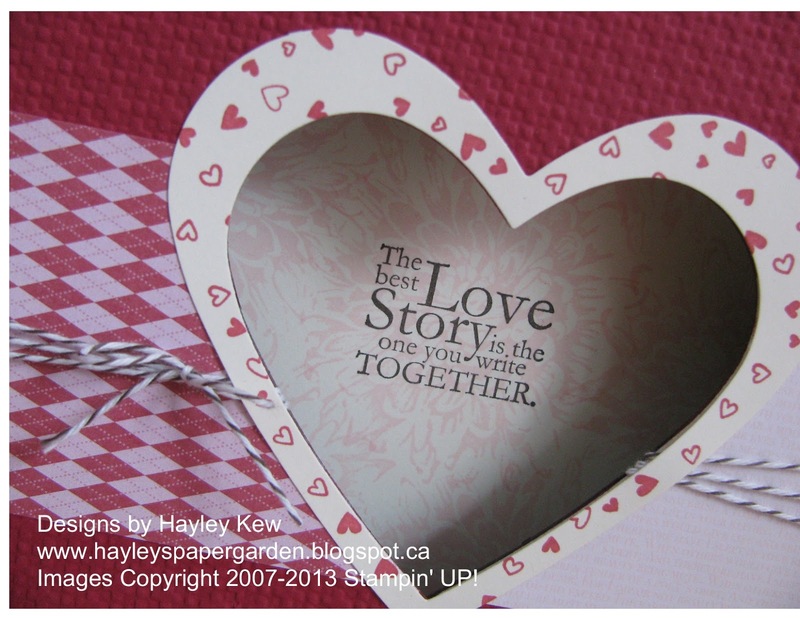 Hayley's Paper Garden: The Best Love Story Is The One You Write Together! The Best Love Story Is The One You Write Together! For this Shadow Box Card I decided to use the lovely sketch from Try Stampin' on a Tuesday, and the beautiful Valentine colour theme from ColourQ and I thought why not add in one more new technique and I found that such technique the Stamp Punch Window (but in this case I used a Framelit) over at Technique Time Tuesday. I am hosting a Valentine's Day Class this weekend and we are going to be making a Shadow Box Frame and I wanted an extra special card to go along with the project and it just occurred to me that THIS card would be perfect! Once again have to give credit where credit is due! To find out how to make this fantastic card pop on over and check out the super easy tutorial listed below the Card Recipe. How is it standing up? 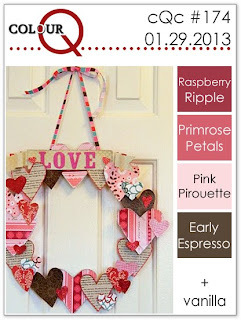 Check out the tutorial below offered by Dawn Olchefske! Love, love, love the sentiment and it is so true. 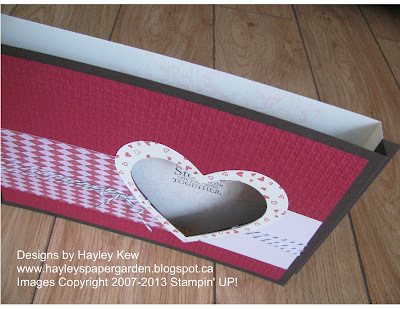 Beautiful card and thanks for sharing your talent once again at Try Stampin on Tuesday. Congrats on making the top 3 for Try Stampin' on Tuesday last week! This card is amazing. I really like your style of cards. This is wonderful, I really like how you used the twine. Thank you for playing along with us at Try Stampin' on Tuesday. LOVE, Hayley!!! Fabulous use of the technique and gorgeous use of the colors and sketch! Thanks for joining us at TSOT and for another amazing entry in our DT call at TTT! :) HUGS! Another Gorgeous card Hayley! Love the beautiful sentiment and design! Thank you so much for joining our DT Call at Technique Time Tuesday! What a great card....I just love this sentiment! A great Valentine! Thanks for using the CQC colors this week in your creation! love that heart window!! so glad you shared it with us at the ColourQ!! Wow - this is fantastic, Hayley! Thanks for the technique, I'll have to keep it in mind for my classes. 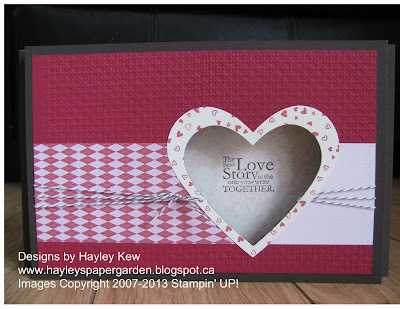 Love all the different papers you used for this card too! Beautiful, love the soft flower in the shadow box. Absolutly wonderful. 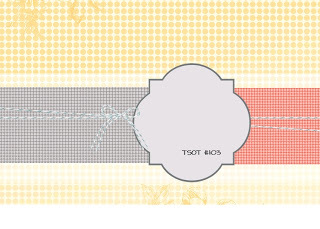 Awesome job, thanks so much for playing along with us on the TSOT blog! Love your take on this weeks sketch. Great to see some creativity. Thanks for playing along at TSOT.